What is a limit order? A limit order is an instruction to a broker or dealer to effect the purchase of a security at a specified price which is lower than market price, or to effect the sale of a security at a price which is higher than the market price. From this definition, limit orders are used by the trader when he has an expectation that the market will move in a specific direction, but only after prices have retreated to some extent from their current prices as to make the value of the asset lower relative to the trade position. Limit orders work in both directions (buy or sell) and they can be used in the market in different ways, depending on what trading platform the trader is using to trade. 1) Entry Limit: Here the trader is using the limit order as a point of entry into the trade. This is known as an entry limit order. This is the type mostly used in forex. 2) The limit order can also be used as a price barrier beyond which the trader cannot be executed. This is mostly used in the stock markets as well as the options and futures markets. We will restrict our discussion to the application of the limit order in the forex market. The usage of limit orders varies with the type of platform used. If the trader is using the MetaTrader4 platform, limit orders are only used as a type of pending order in the market. This is in the form of Buy Limit and Sell Limit orders. Here, limit orders are used by the trader when there is an expectation that prices will either advance or retreat to a certain key price level, and then undergo a reversal. So in this case, the trader is using the limit order to trade in the direction of the reversal. A common application of this strategy is when the trader is trying to enter a trade after a retracement from a previous trend. Since he does not want to get caught out by retracing prices after failing to catch the initial move early, he can use a Buy Limit or Sell Limit order to re-enter the trade under favourable price conditions. If you are using the ActFX or Currenex Classic retail forex platforms, the limit order can be used to set the Take Profit point after a trade has been executed. It can also be used to initiate trade entry at a price better than market price, by using the Entry Limit Buy or Entry Limit Sell functions on these platforms. A trader known as Brother John wants to go long on the EURUSD. The market price of the asset is at 1.2498. His analysis of the charts tells him that there will be a strong bullish run, but he is wary of the current market price being too close to a psychological resistance of 1.2500. The nearest support is at 1.2456. He decides to set a Buy Limit order at the nearest support, with a 40 pip stop loss and 50 pip profit target. Another trader named Brother Chris sees the same trade, and decides to jump in at market price with a 40 pip stop loss. Which of these two traders will smile to the bank at the end of the day? Why are Limit Orders Important? Limit orders protect a trader from unnecessary and avoidable drawdowns. For instance, if a trader has an expectation to buy an asset such as the USDJPY at 78.67, but he feels that the price of the asset will drop to 78.20 before continuing an advance to levels beyond 79.50, he can afford to set a limit order to trigger the trade at the lower price range, and follow it to the end. 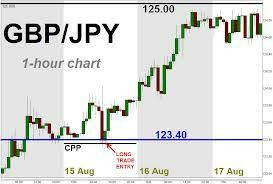 This way, he will avoid his trade having to go 47 pips negative before breaking even and returning a profit. So a limit order will not only save him from the 47-pip drawdown in this case, but will actually add the 47 pips to his profit potential in the trade. Using the limit order another way, the trader can prevent his trade from being filled in at a price higher than what he is willing to pay. For instance, if he wants to purchase the Euro Futures contract at a price that is not more than $20, he can set the limit order at that point and so prevent his trade from being entered at a much higher price where profit potentials before a profit-taking selloff are low.